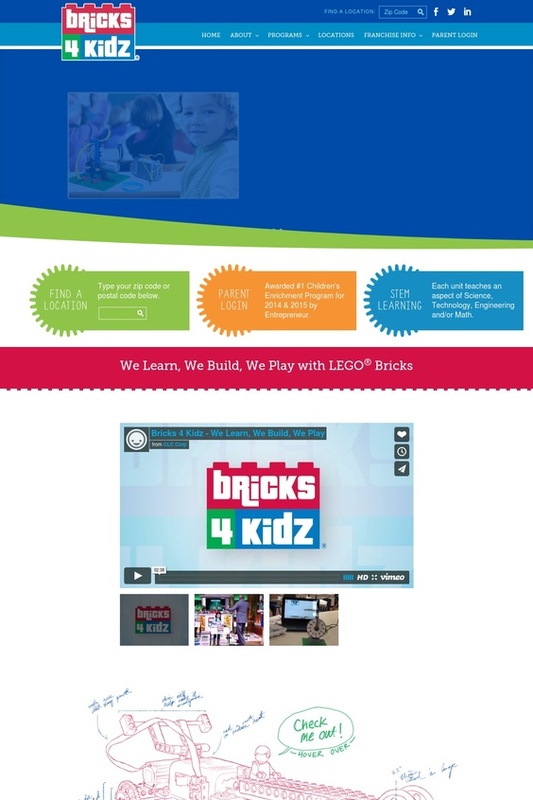 Built scalable WordPress Multi-site website www.bricks4kidz.com. By using multi-site each new franchise owner receives their own mini-site which they have access to thru editor user permissions. We started with one website for the main parent company and one franchise site then as new locations were created, we used multisite to deploy websites for each location. We were able to quickly update the header, content, images, and SEO for each new website. Since we are utilizing multi-site we are hosting thru a dedicated VPS we have thru Media Temple with additional support provided by a third party for 24/7 server support. Along with a scalable website Bricks 4 Kidz needed email hosting that could scale. Marketing Buddah chose Rackspace for email hosting.